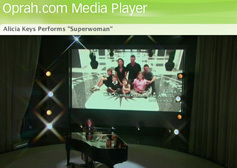 March 1, 2006 Hybrid Moms Saving the World! November 20, 2005 Have You Connected with Your Child Today? 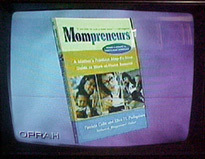 June 1, 2005 - Publisher Inducted into "Hot Moms Club"
Wyatt-MacKenzie was featured in June 2001 and June 2004 Home Business Magazine! Two of Wyatt-MacKenzie's books on the cover of Oregon Business magazine May 2012, publisher featured in "Mom Inc."
THE EARLY SHOW - Major segment on Danny Kofke! Laurie A. Couture in "The War on Kids"
Everyone in the studio audience gets a copy of "Little Grapes on the Vine"
Wyatt-MacKenzie is featured on page 33 in "The Hot Mom's Handbook" seen everywhere nationally in May. January 16, 2019 - PARADE feature "Pop Icon Taylor Dayne on Choosing Single Motherhood, Love and Power Tools"
November 19, 2018 Issue - People Magazine features WE in "The Best New Books"
October 22, 2018 - Pulitzer-prize winning author of THE HOURS Michael Cunningham hosts east coast launch of WE at New York's Shakespeare & Co.
Sept. 1, 2018 - Tom Weise's LIVING OFF THE EDGE at #7 for New Releases in LGBT and I RAN INTO SOME TROUBLE at #3 in Best Sellers in LGBT. April 20, 2018 - Wyatt-MacKenzie signs Grammy-nominated pop icon Taylor Dayne for her memoir, TELL IT TO MY HEART: How I Lost My $#*T, Conquered My Fear, and Found My Voice about a little Jewish girl from Long Island, Leslie Joy Wunderman, that made it against the odds, sold over 75 million records, worked with Michael Jackson, Elton John, and Whitney Houston, and is now on her 30th-Anniversary Tour; a parable of female self-empowerment which captures Taylor’s life growing up in a blue-collar home, becoming a chart-topping musician circumnavigating the globe, rediscovering faith and traditions, and being a single-mother of twins by choice; with Todd Shuster at Aevitas Creative Management in association with Konrad Leh of Creative Talent Group, and Diane Nine of Nine Speakers, Inc. representing co-writer Dave Smitherman. March 24, 2018 - Wyatt-MacKenzie has 3 Foreword INDIES Award Finalists: MR. CLARK'S BIG BAND in "Education" and CREATE! in "Performing Arts" with imprint title IRELAND in "Travel"
March 20, 2018 - Wyatt-MacKenzie imprint title BLUSH: WOMEN & WINE is WINS a Benjamin Franklin Award! December 8, 2017 - Wyatt-MacKenzie signs GP James for his debut novel MELTDOWN edited by Richard Marek (The Bourne Identity and Silence of the Lambs). Nov. 28, 2017 - Francis Ford Coppola Winery chooses THE TRUTH ABOUT THEA for their first "Books and Bottles" Book Club!! October 20, 2017 - Upshur Books in Washington, D.C. hosts Kathy Coleman and RUN, HOLL, RUN! October 20, 2017 - Politics & Prose in Washington, D.C. hosts Kathy Coleman and RUN, HOLL, RUN! July 2, 2017 - THE MERMAIDS OF LAKE MICHIGAN is a 2018 Sakura Medal nominee!!! June 27, 2017 - Foreword Reviews July/August issue includes rave review and pullout of CREATE! May 25, 2017 - Wyatt-MacKenzie authors and imprints win six National Indie Excellence Awards including PIPER, ONCE & AGAIN in "Visionary Fiction," UNWRITTEN in "Education"
April 10, 2016 — THE MERMAIDS OF LAKE MICHIGAN wins Silver IPPY! April 10, 2016 — MATILDA, THE ALGONQUIN CAT wins Bronze IPPY! Mar. 15, 2017 - SECRETS OF WORRY DOLLS is a Foreword Reviews Book of the Year INDIES Finalist! Mar. 11, 2017 - SECRETS OF WORRY DOLLS wins 2017 Benjamin Franklin Award Silver Medal! Feb. 1, 2017 - Wyatt-MacKenzie signs Peggy Caserta for her memoir, I RAN INTO SOME TROUBLE, to be released Fall 2017 with Film/TV Rights Optioned! Dec. 1, 2016 - Foreword Reviews features SECRETS OF WORRY DOLLS in "New Releases Americana and Escapism"
Sept. 20, 2016 - Redbook magazine features TRIPLE LOVE SCORE in "15 Fall Books You Should Read..."
July 25, 2016 — Wyatt-MacKenze signs Amy Impellizzeri for a two-book deal (her 2nd and 3rd books with us! )— SECRETS OF WORRY DOLLS (Dec 2016), a generational family saga with a thread of magical realism woven from the Mayan myths of Guatemala, dysfunction, tragedy, and hope, and TRUTH ABOUT THEA (Fall 2017), with Bob Diforio at D4EO Literary Agency. July 20, 2016 — Wyatt-MacKenze signs Meredith O'Brien (her 3rd book with us!) — MR. CLARK'S BIG BAND: A Year of Laughter, Tears and Jazz in a Middle School Band Room (Spring 2017), about how an unorthodox music director leads a group of young teens to the other side of grief after a fellow band member unexpectedly dies. June 9, 2016 - Women's Fiction Writers features interview with Amy (LEMONGRASS HOPE) "How Amy Impellizzeri Became A Pblished Author"
June 1, 2016 — Kirkus Reviews gives incredible pre-pub review of THE PROMISE OF PIERSON ORCHARD, coming Earth Day 2017. May 7, 2016 - WINNERS of the National Indie Excellence Awards — MILLENNIAL MOMS in "Marketing & Public Relations" and WITNESS TO SPIRIT in "Memoir; FINALISTS — THE EVERYWHERE ORACLE in "Poetry" and YOUNG JANE AUSTEN in "Biography - History"
May 7, 2016 - Wyatt-MacKenzie Imprints National Indie Excellence WINNERS — REFLECTIONS OF A LOVE SUPREME in "Music, RADIANT SKIN in "Alternative Medicine" and FINALIST — EMILIA-ROMANGA in "Travel"
April 19, 2016 - WITNESS TO SPIRIT, YOUNG JANE AUSTEN and MILLENNIAL MOMS are finalists in the 2016 Indie Book Awards Two in the category of "Best Overall Book Design" and one each in "Gift" and "Business"
Jan 22, 2016 - Bozeman Daily Chronicle features WITNESS TO SPIRIT "The Life of Robert Staffanson, in 3 parts"
December 20, 2015 — Billings Symphony Orchestra adds WITNESS TO SPIRIT to "A Bit of History"
Dec. 17, 2015 - Press Release "Wyatt-MacKenzie 2015/2016 Fall/Winter Releases Include Poetry, Memoir, and Education; plus Documentaries Featuring 2008 Author, CIA Terrorism Analyst Gina Bennett"
Dec. 14, 2015 - Center of Courage & Renewal names THE EVERYWHERE ORACLE is "One of the best courageous books of 2015"
Nov. 28, 2015 - LA Times, Wall Street Journal, New York Times, Newsweek, Salon, Adweek, and Vogue, all comment on Gina Bennett (NATIONAL SECURITY MOM) in Showtime's "Spymasters"
Sept. 9, 2015 - PR Newswire "Millennial Moms Expected to Add $750 Billion to U.S. Economy"
June 26, 2015 – Two 2014 INDIEFAB Book-of-the-Year Winners! SMALL THINGS CONSIDERED by Joel Schwartzberg wins SILVER in "Humor" and LEMONGRASS HOPE by Amy Impellizzeri wins BRONZE in "Romance"
MOTHER'S DAY 2015 – Foreword Reviews features publisher Nancy Cleary and Wyatt-MacKenzie in "Book of Mom"
April 20, 2015 - Press Release "Janeites and Austen Fans Worldwide Celebrate the Release of “Young Jane Austen: Becoming a Writer”, a Unique Biography of Austen’s Childhood and Creative Development"
April 18-19 - Lisa Pliscou will be signing copies of YOUNG JANE AUSTEN at the Los Angeles Times Festival of Books, on the USC campus. She’ll be at the booth of the Jane Austen Society of North America, Southwest, on Saturday afternoon. April 2015 - Press Release "Wyatt-MacKenzie Spring 2015"
March 10, 2014 - The Changing Behavior Network Radio Show features interview with Ava (THE FINANCIAL ANGEL) & Danny Kofke (A BRIGHT FINANCIAL FUTURE) "Teaching Financial Fitness to Our Children"
Fall 2014 Issue of Library Journal features LEMONGRASS HOPE in "Debut Fantasy Romance"
Dec. 7, 2014 - Publisher Nancy Cleary interviewed for South Methodist University, "Arts Entrepreneur"
Fall 2014 Issue of ForeWord Magazine- showcased LEMONGRASS HOPE in "ForeSight" as "one of five exemplary titles in Romance Fiction"
Sept. 5, 2014 - Danny and Ava Kofke's first Daughter-Father interview (at 11:00 in) on "Smart Money Radio"
Sept. 1, 2014 - Press Release "Wyatt-MacKenzie's Fall 2041— Time-bending Romance, Life-improving Financial Lessons For Kids, A Journey of Spiritual Awakening and the Exquisiteness of Twins"
July 7, 2014 - Kirkus Reviews LEMONGRASS HOPE, "A layered, bittersweet romance"
July 1, 2014 - HumorWriters.org features SMALL THINGS CONSIDERED in "Manliness to Manliow"
June 6, 2014 - New York Times bestselling author Jacquelyn Mitchard endorsed LEMONGRASS HOPE!! June 1, 2014 - SMALL THINGS CONSIDERED excerpted at The Good Men Project "Men In The Mirror"
May 21, 2014 - Danny Kofke on "The Willis Report" on FOX Business talking with Gerri Willis, "Saving for retirement on a tight budget"
May 7, 2014 - Danny Kofke talks to Jaden Sterling on Soul to Profit Radio discussing "Teaching Your Kids To Be Wealthy With Little Money"
March 29, 2014 - January Jones welcomes Imprints Tom Ingrassia and Jared Chrudmisky on her radio show "Sharing Success Stories"
Feb 21, 2014 - Imprint Victoria Humphrey on NPR: NY Public Radio with Leonard Lopate discussing CLUELESS EMPERORS "How to Overcome Problem People"
Feb. 5, 2014 - Rene Styler's website features Patti Ashley LIVING IN THE SHADOW OF THE TOO-GOOD MOTHER ARCHETYPE in "Life Lessons"
Jan. 30, 2014 - American Salon features Imprint Lisa Orrell in "The Me Generation"
Oct. 10, 2013 - Worcester Magazine features Imprint book ONE DOOR CLOSES in "Dream Coaches"
May 9, 2013 - MassLive feature "West Springfield native, blogger Meredith O'Brien pens first novel, 'Mortified: A Novel About Oversharing'"
March 2013 Issue Children's Writer features publisher Nancy Cleary's comments on "How Self-Publishing is Changing Our Relationship with Books"
Feb. 1, 2013 -- Austin Woman Magazine features WHY MOST WOMEN DIE in "The Startling Truth About Heart Disease"
Jan. 29, 2013 -- Literary Mama features THE BEAUTIFUL ONE HAS COME in "Maternal Belongings as a Means to Freedom"
Jan 18, 2013 - Salon.com features Gina Bennett (NATIONAL SECURITY MOM) in "Zero Dark Thirty gets the CIA wrong"
Dec. 13, 2012 - Gina Bennett acknowledged in "A feminist film epic and the real women of the CIA" — CNN review of "Zero Dark Thrity"
September 24, 2012 ISSUE NEWSWEEK Magazine features NATIONAL SECURITY MOM in "The CIA's Secret Weapons"
August 6, 2012 - Maria Bailey (MOM 3.0, POWER MOMS) quoted in Fast Company magazine "Mother of Invention" excerpt from new Berrett-Koehler book "Leapfrogging"
July 3, 2012 - LITTLE MISS MERIT BADGE chosen as one of "5 Summer Books for San Diego"
May 14, 2012 - The Spit Take reviews DEAR DAD, IT'S OVER. May 10, 2012 - Shelf Awareness features THE CHALK CIRCLE launch as "Image of the Day"
May 9, 2012 - Publishers Weekly features THE CHALK CIRCLE launch in "Picture of the Day"
May 1, 2012 - Danny Kofke on VoiceAmerica with Jay Taylor, "Turning Hard Times into Good Times"
May 1, 2012 - PRESS RELEASE "Rock-'n-Roll, Drugs, Divorce and Diversity — Wyatt-MacKenzie Publishing Spring 2012 Releases"
April 30, 2012 - Danny Kofke quoted on Fox Business "How to Loan Your Adult Child Money"
April 20, 2012 - Imprint Lisa Orrel quoted in New York Times "What to Think About Before You Hit Send"
April 11, 2012 - THE BEAUTIFUL ONE HAS COME wins 2012 Nautilus Award in "Multicultural/Indigenous"
February 16, 2012 - Chicago Tribune features Danny Kofke and A SIMPLE BOOK OF FINANCIAL WISDOM in "Finding Joy in a Simpler Life"
Feb. 2012 - Writer’s Digest features Imprint Lela Davidson's article "Life of the (Book Launch) Party"
Feb 1, 2012 - PRESS RELEASE "Girl Scout Memoir Provides Insight into Using Adversity to Fuel Achievement"
Jan. 9, 1012 - PRESS RELEASE "New Book Offers Tips on Surviving A Child's Brain Injury"
Jan. 9, 2012 Peace Corps Worldwide has us in the News with a mention of contributor to THE CHALK CIRCLE, Jeff Fearnside. Dec. 26, 2011 - San Francisco Chronicle quotes Maria Bailey in "Mommy Bloggers Can Make or Break Toys"
November 2011 issue - Epilepsy Advocate magazine features Imprint Danielle Rocheford's MOMMY, I FEEL FUNNY! Nov. 5, 2011- Canada’s National Post quotes Imprint Lisa Orrell and BOOMERS INTO BUSINESS in "Retirement Can Get Old Very Fast"
Oct. 25, 2011 - Inc. quotes Maira Bailey in "Master Marketing to Moms"
Oct. 25, 2011 - Joel Schwartzberg on GOOD MORNING AMERICA with segment "Have Halloween Costumes Gone Too Far?" 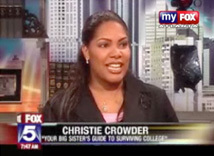 Oct. 3, 2011 - Danny Kofke on FOX Business News Editor's Pick: "Living Well on $40,000 a Year"
Sept. 19 - Imprint Monica Strobel featured in KTLA with her own segment, "The Power of Giving and Receiving Compliments"
Sept. 6, 2011 - Danny Kofke on FOX NEWS "How to Survive in a Struggling Economy"
Aug. 19, 2011 - PRESS RELEASE "A New Generation of Power Moms Influence Politics and Peers"
July 7, 2011 - FOX Busines News has Danny Kofke on "Follow the Money"
June 23, 2011 - CBS BNET features Imprint Lisa Orrell "5 Lures to Keep Boomer Employees From Retiring"
June 2011 - Imprint Monica Strobel, THE COMPLIMENT QUOTIENT, great interviews: Good Day Colorado FOX 31 Denver "How to Give the Best Compliments" and Family Talk Radio with Dr. Daisy Sutherland "How Giving A Compliment Boosts Your True Joy"
May 24, 2011 - New York Times features POWER MOMS and Maria Bailey in "The Boys & Girls Club and High Tech?" May 10, 2011 - SOUL TO SOUL PARENTING wins GOLD in IBPPG Next Generation Indie Book Awards in "Spirituality"
May 5, 2011 - Forbes quotes Maria Bailey in "Mother's Day: Mompreneurs Shine and Big Business Take Notice"
April 25, 2011 - SOUL TO SOUL PARENTING wins SILVER Nautilus Book Awards in "Parenting"
Feb. 28, 2011- Imprint Press Release "Executive Coach, Psychotherapist and Author, Meg Stafford, Shares Riding the Waves of Her Breast Cancer Treatment in Captivating New Book"
Feb. 8, 2011- Imprint Press Release "Couples Rekindle Missing Passion with More Compliments"
Jan. 25, 2011 Imprint Press Release "Unleash the Power of Compliments for More Personal Joy, Kinder World"
Jan. 8, 2011- Press Release "Wyatt-MacKenzie Releases Memoir of Marika Roth -- Holocaust Survivor, Fashion Model, Screenwriter and Artist"
Jan. 6, 2011 Imprint Press Release "Colorado Author Announces Release of Debut Novel TOUCH"
Sept. 1977! - We re-released this classic THE CRACKER FACTORY, check out the first article! "Why Housewives Become Alcoholics"
Oct. 24, 2010 - Publisher Nancy Cleary and author Iris Waichler interviewed on "Your Book Is Your Hook" Radio Show. 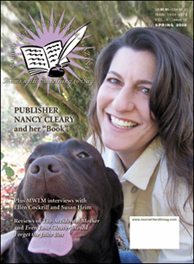 Nancy's guest blog post: "Mission: Publish"
September 27, 2010 Issue - Leeda Bacon and her 2007 book BE YE ENCOURAGED featured in First for Women Magazine! August 2010 ForeWord Reviews - SOUL TO SOUL PARENTING gets an amazing review! 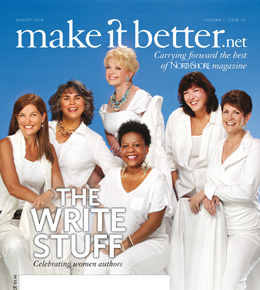 August Issue - make it better magazine from Chicago's Northern Suburbs features Annie Burnside in "The Write Stuff: Celebrating Women Authors"
July 2010 - SECOND BLOOMING wins National Mature Award! June 27-July 23 REINDEER WITH KING GUSTAF gifted at the 60th Anniversary Lundau Nobel Laureate Meeting! 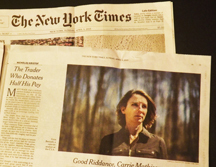 Author Anita Laughlin hosted a reading, and we tweeted with participants in Germany -- very cool. June 21, 2010 - German newspapers announce book reading by Anita Laughlin at the 60th Anniversary Nobel Laureate Meetings in Lindau. June 7, 2010 - Alana Morales author of DOMESTICALLY CHALLENGED chosen as spokeswoman for Sara Lee! One of her first articles for FOX "Summertime Fun for Children"
June 1, 2010 - Wyatt-MacKenzie's REINDEER WITH KING GUSTAF chosen to give as gifts to Nobel Laureates at 60th Anniversary Lindau Meeting! May 31, 2010 - THE FORTY-YEAR-OLD VERSION wins Silver in ForeWord's Book-of-the-Year! May 26, 2010 - Winner and 2 finalists in INDIE BOOK AWARDS! THE FORTY-YEAR-OLD win, TWEEN YOU & ME and THE MOMNIFICENT LIFE both finalists! 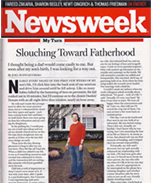 May 18, 2010 - JAMA issues new report on postpartum depression in dads, a topic discussed by Joel Schwartzberg last year in Newsweek... and this morning on Good Morning America, NPR, and Huffington Post! May 2010 - CALL ME OKAASAN is an IPPY finalist! Dec. 10 - As President Obama receives his Nobel prize, Anita Laughlin is interviewed on NPR's Tell Me More by Michel Martin for an amazing segment Wife Of Nobel Winner Tells Of Getting 'The Call' You must listen to this great interview! Nov. 23, 2009 - His Majesty King Gustaf enjoyed our book! Also, REINDEER WITH KING GUSTAF is now being sold at The Nobel Museum. Nov/Dec Issue Saturday Evening Post features Dixie Coskie author of UNTHINKABLE in "Labor of Love"
Nov 1 - BREATHE THE SKY featured in New Haven Register, see the photo of author Chandra Prasad as an aviatrix! Fall 2009 Issue Hybrid Mom Magazine- Check us out! 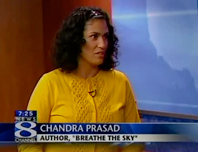 Sept. 23, 2009 - Joel Schwartzberg on ABC News Now, "Parenting with the X"
September Issue of New Haven Magazine features Chandra Prasad and BREATHE THE SKY, "Re-Imagining Amelia–Hamden Author Channels Legendary Aviatrix"
Sept. 15 - India New England features Chandra Prasad and BREATHE THE SKY, "Prasad's Prose Soars With New Earhart Novel"
August 9, 2009 - CALL ME OKAASAN reviewed in The Japan Times "The ups and downs of global parenting"
June 5, 2009 - Entrepreneur.com features Maria Bailey and MOM 3.0 in "A Day in the Life"
June 2, 2009 - BUSINESSWEEK includes MOM 3.0 in "Pitching to Mommy Bloggers"
June 1, 2009 PRESS RELEASE - "Wyatt-MacKenzie Goes Green with Hot New Publishing Technologies and Spring 2009 Releases"
from Mar. 2009 - Book discussion of NATIONAL SECURITY MOM at the Woodrow Wilson Int'l Center for Scholars Watch the video on demand now posted! March 2009 - MSN features Gina Bennett in "Moms Inspired to Change History"
Feb. 7, 2009 - Lisa Orrell, author of MILLENNIALS INCORPORATED on Weekend Edition NPR, "Young Bosses Push Elders To Embrace Technology"
JAN/FEB 2009 The National Interest celebrates Gina Bennett's NATIONAL SECURITY MOM alonside Peggy Noonan' sPATRIOTIC GRACE in this incredible essay  a must-read! 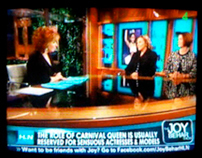 Jan. 8, 2009 - Lisa Orrell appears on ABC "Dealing with a Younger Boss"
July 17 - DOG PARK DIARY reviewed... by dogs! July 8, 2008 - KENS Eyewitness News, San Antonio Writing book helps woman cope with daughter's death featuresMY DEAR JASMINE by Norma Garcia. July 1, 2008  "A Book is Born" Book Trailer released. Video producer Malonda Richard edited over 10 hours of footage from 14 of our authors for this 3 minute video! May 2008 BEA in Los Angeles, CA - A BOOK IS BORN wins a SILVER Foreword Magazine Book-of-the-Year Award ! May 2008 - YOUR CAREER ON-RAMP co-authors appear on ABC "Women Look to Career On-Ramp"
May 28, 2008 - "YOUR CAREER ON-RAMP co-authors Catherine Clifford and Millie Froeb appear on Lifetime TV "Balancing Act"
April 2008 - National Zoo Tour!Mark Stevens, author of LUISA'S NATURE, traveled to the US from his home in Germany this month to host Earth Day celebrations and booksignings at Zoos in Phoenix, Sacramento, Greenville, Staten Island, and Atlanta! March 18, 2008 - Children & Nature Network feature Mark Stevens and "Luisa's Nature"  New Book Looks at Nature Through Childs Eyes. March 5, 2008 - A BOOK IS BORN is named a finalist in ForeWord Magazine's Book-of-the-Year Awards in the CAREER category, and "Connection Parenting Audio Book" is a finalist in the AUDIO NON-FICTION category. February 2008 - Boston's Patriot Ledger features Wyatt-MacKenzie in "Labor of Love: Mom authors relate publishing a book to giving birth"
Feb. 1 - Australia's Kindred Magazine licenses Pam Leo's quote through their website, "How we treat the child, the child will treat the world." January 2008  National Association of Women Writers licenses A BOOK IS BORN for 2008 membership packages. Dec. 21  Boston's Parents and Kids feature article "A BOOK IS BORN: Mom authors easily relate publishing a book to giving birth"
Nov. 1 - A BOOK IS BORN is named a finalist in THE NATIONAL BEST BOOKS 2007 AWARDS as was AND THEN… CAME ARTHUR and "Special Gifts"! Sept. 13, 2007  Samantha Gianulis author of LITTLE GRAPES ON THE VINE continues her regular column at Todays-family.net. 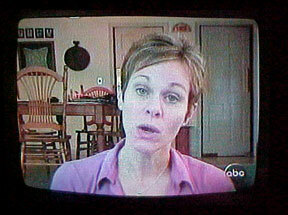 July 11, 2007 - Jennifer Kalita and THE HOME OFFICE PARENT on Smart Money TV watch the video! 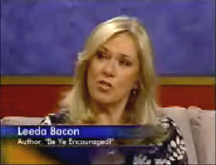 June 23, 2007 - Leeda Bacon discusses BE YE ENCOURAGED on The Good Morning Show watch the video! April 13, 2007 - Samantha Gianulis promotes LITTLE GRAPES ON THE VINE with her own cooking segment on iVillage TV. 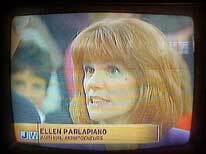 April 8, 2007 - THE HOME OFFICE PARENT in The Wall Street Journal "Avoid the Pitfalls of Working from Home"
October 11, 2006 - Arlene Schusteff appears on The Greg Behrendt Show. July/August 2006 Issue ForeWord Magazine - Reviews "Silent Heroes eBook"
July/August 2006 Issue ForeWord Magazine Upcoming Releases - Lists Wyatt-MacKenzie Fall '06 release WHAT'S THE MATTER WITH MOMMY? July 5, 2006 - Christian Science Monitor quotes author Christine Hohlbaum in "Vacations that nurture a sense of place"
May 2006 - Writer's Digest May issue names Mom Writers Literary Magazine (created by 2 WM authors, Alana Morales and Paula Schmitt) one of the 101 Best Sites for Writers! April 2006- MOMMYHOOD DIARIES nominated for an IPPY (Independent Publishers Book Awards) in Anthologies! 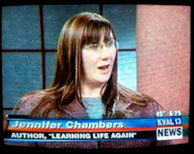 April 2006 - Good Morning Americainterviews Jen Singer about the "Mommy Wars" - watch the video! April 2006 - CONNECTION PARENTING named a ForeWord Magazine Book-of-the-Year FINALIST! 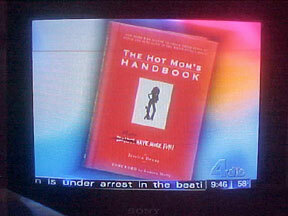 March 1, 2006 PRESS RELEASE "The Hybrid Mom"
January 23, 2006 - Mom-Writers Publishing Co-Op featured in Boston's syndicated Family and Kids "Have You Dreamed About Publishing a Book?" November 28, 2005 - Listen to Maureen Focht discuss her book "Silent Heroes" on Global Talk Radio's "A Story to Tell"
November - MOMMYHOOD DIARIES and Julie Watson Smith featured in Today's Local News. 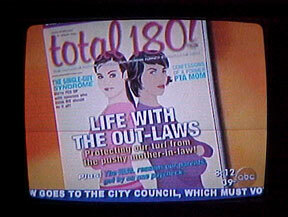 July 27, 2005 - The Mom-Writers Publishing Co-Op appears in The Chicago Tribune "Co-op helps moms publish their works"
July 3, 2005 - Paula Schmitt and LIVING IN A LOCKER ROOM featured i#n Times Argus. 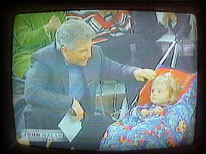 June 29, 2005 - Jen Singer appears on The Early Show "The Anxiety of Stay-at-Home Moms"
Summer 2005 - Author Jen Singer chosen as Huggies® Spokesmom. Jen did a week-long Canadian media tour for Huggies® in June. April 14, 2005 - Author Jen Singer quoted on CNN "The Next Celebrity Pregnancy - Authors discuss who's likely to follow in Britney's steps"
April 2005 - Wyatt-MacKenzie featured in PMA's "Independent" - "Solo Practitioners of Publishing, We Salute You!" 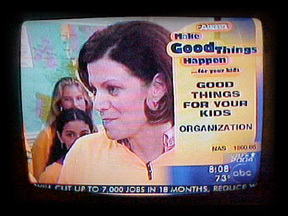 April 2005 - MWPC Co-Op author Christine Hohlbaum chosen as ClubMom® S.A.H.M. Expert! March 17, 2005 - Jen Singer and 14 HOURS TIL BEDTIME featured in the LA Times "Bickering, bloodsport of siblings"
January 2005 - Ladies Home Journal features Jen Singer in "Confessions of Real-Life Desperate Housewives"
Dec. 5, 2004 - 14 HOURS TIL BEDTIME appears in New York Timesunder "Really Desperate Housewives"
Oct. 1, 2004 Boston Heraldquotes author Jen Singer in "Soap Gets in the Suburbs"
June 2004 - Nancy Cleary quoted in Home Business Magazine, "Bringing Up Baby and Business"
May 2004 - Nancy Cleary quoted on Parenthood.com, "So You Want to Be an Inventor?" September 2003 Nancy Cleary quoted in Family Circle, "Total Know-How"
July 1, 2003 Nancy Cleary quoted in The Wall Street Journal, "The Quest to Banish Fatigue"
December 2002 Publisher Nancy Cleary was a featured guest on Entrepreneur.com's "The Home Biz Show " with host Mary Goulet. 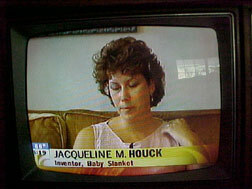 February 2001 "Companies on the Move" was an interview with Nancy Cleary about her product line, BOX-is. It aired for 2 months in 2001 on American Airline's Audio Program and was listed in American Way Magazine on every flight.